Chelsea and Adidas has announced their 10 year kit deal set to be terminated at the end of next season 2016-17. The initial kit deal between the two parties was signed back in 2006 and the deal was extended to further 10 years in 2013 and according to extension agreement, Adidas would be primary kit suppliers for Chelsea by 2023. But in strange circumstances Chelsea officially announced today that they will be terminating the contract with Adidas by the end of 2016-17 season that is 6 years earlier than agreed. When Chelsea signed the kit deal extension with Adidas in 2013 it became the second highest kit deal in premier league behind Manchester United’s Adidas contract. Adidas were paying £30 million a year plus bonuses with their Chelsea contract. Chelsea are the ones who proposed the termination of the contract and Adidas accepted it which means Chelsea will have to pay compensation to Adidas which might be a lump sum payment. But since both parties are stating its a mutual consent a termination deal might already have been finalized. Chelsea has already made a contact with potential new company who are likely to be either Nike or Puma but they will only announce the deal at the start of 2017. Nike who lost Manchester United to Adidas and also opted not to renew deal with Arsenal are front runners for Chelsea kit deal as their only current high profile deal in English football is with Manchester City. 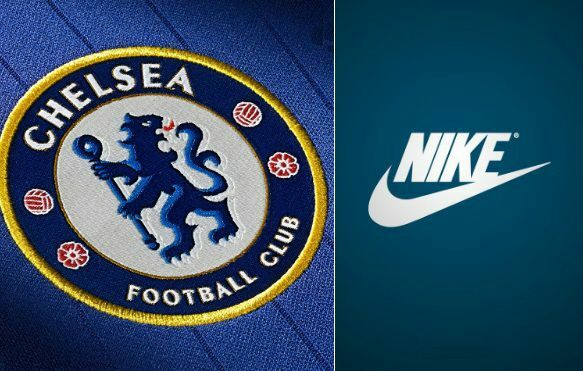 However its hard to see Nike paying anything more than £30 million a year what Chelsea were getting with Adidas but they might have offered more bonus payments for Chelsea. Currently Manchester United has the biggest kit deal with Adidas worth £75 million a year while Bayern Munich’s Adidas deal is worth around £42.5 million a year. Adidas also released a statement saying moving forward they want to have less kit deals and only looking for high profile teams to sponsor. Currently 6 of the top 10 biggest kit deals belong to Adidas.